Iceberg full-featured chair at an economical price. Designed for lasting durability, the Rough n Ready Stack Chair will look "good as new" even after many years of use. Perfect for break rooms, offices and schools. 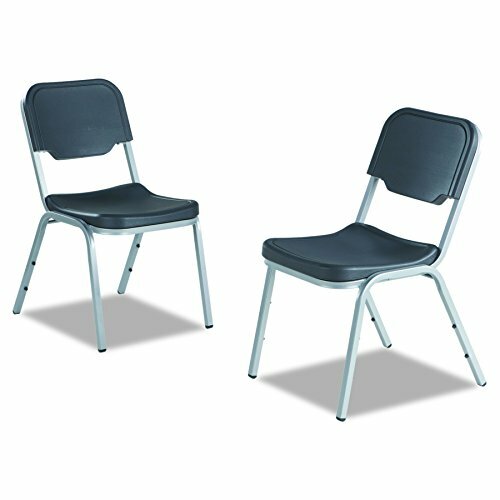 Ergonomically designed for extraordinary comfort, the extra wide seat and back are constructed of blow molded high density polyethylene. Dent and scratch resistant. Washable. Holds up to 250 pounds. Silver frame is heavy gauge 7/8-inches powder coated steel tube. Seat back measures 15-1/2-inches width by 10-5/8-inches depth. Seat height 17-1/2-inches.